Outfits for National Dance Day. Hey dancers and people who love dancing out there, this article is written specially for you! This year’s National Dance Day falls on July 25th. Celebrate Dance Day with friends and tell the world you love dancing by wearing cool dance-theme outfit. We have 10 cool outfits for male dancers and female dancers below. Scroll down to discover now! 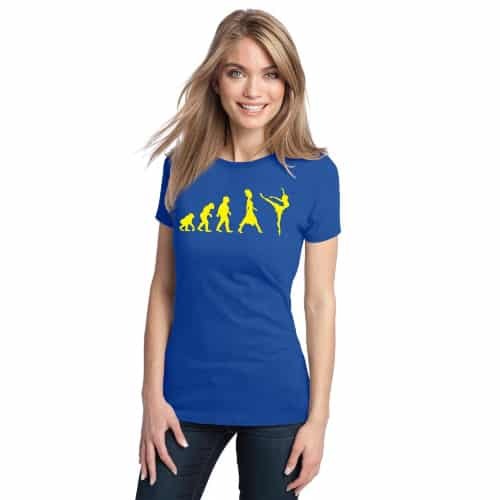 Funny design of the evolution of graceful dancer from ape. Vibrant yellow against blue background. This shirt is definitely eye-catching. For girls who love ballet more than boys. 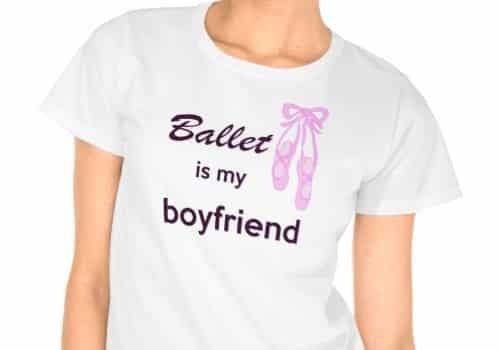 This tee says “Ballet is my boyfriend” with a pair of pink ballet shoes at the side. Cool sweatshirt for girls. Sparkly print accented with lots of gems. It reads “Live, Love, Dance”. Cute burnout top in purple. Soft fabric, racer-back design. Perfect for ballerinas. 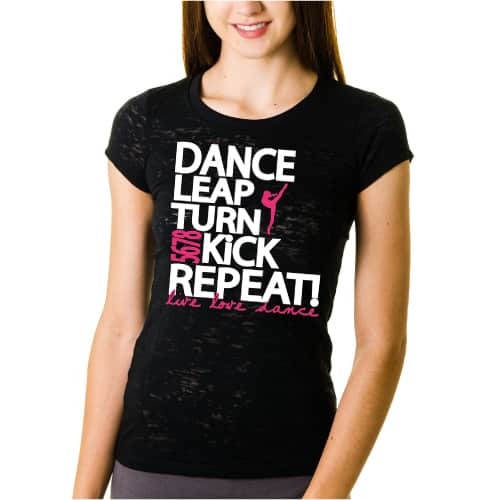 Cool T-shirt for the dancers. Soft and light fabric. Great for National Dance Day. 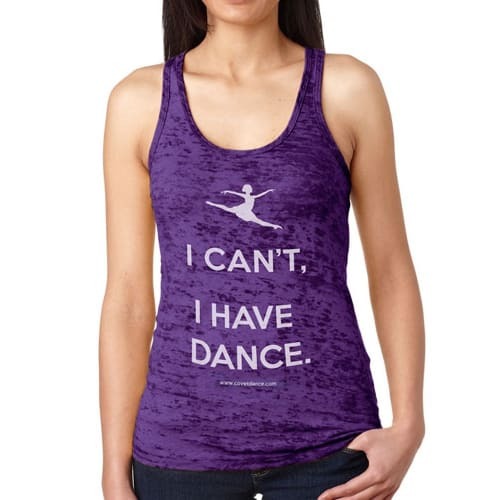 Colorful statement T perfect for National Dance Day. Vibrant neon, extra cool. 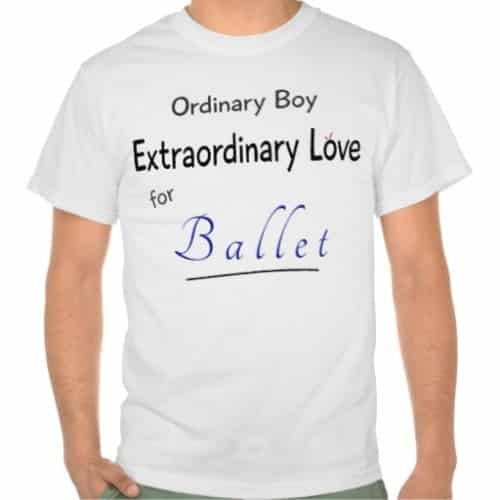 100% cotton T-shirt loved by male ballet dancers. 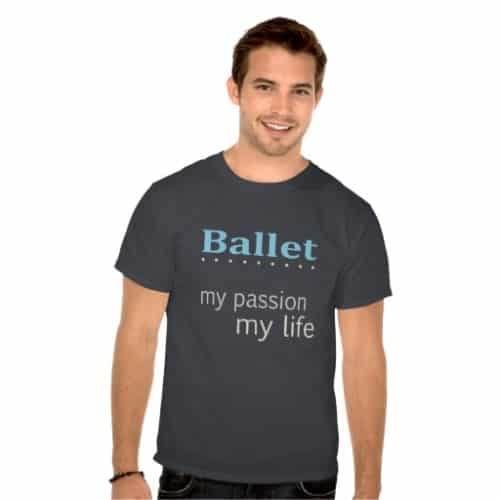 Bold statement that reads “Ballet – my passion, my life”. 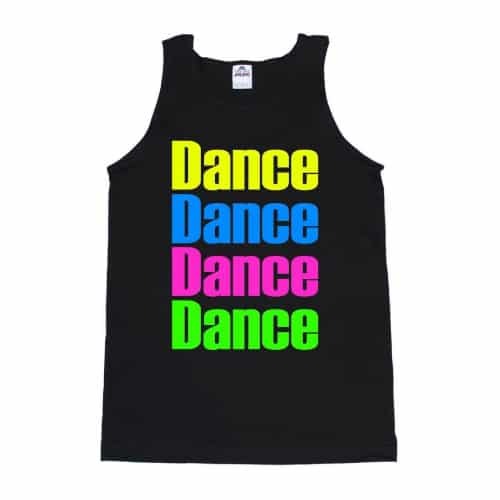 Another cool shirt for male dancers. Reads “Ordinary Boy. Extraordinary Love for Ballet“. Boy dancers will also love this sweatshirt from Boys Dance Too. Black and white. Cool graphic of a guy dancing. 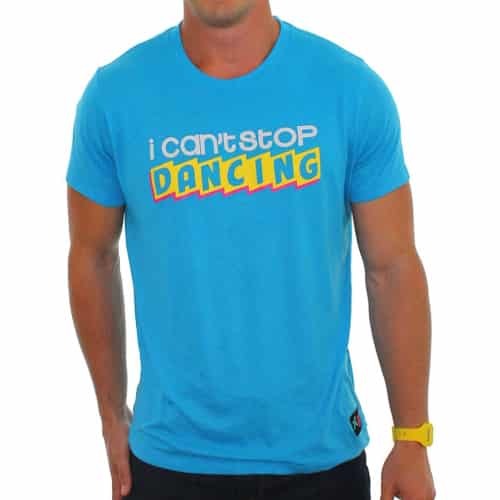 Bright blue dance shirt for men. Retro 80’s style. Made of comfy poly-cotton blend. That’s our National Dance Day post on 10 cool dance outfits for men and women. Thanks for reading!